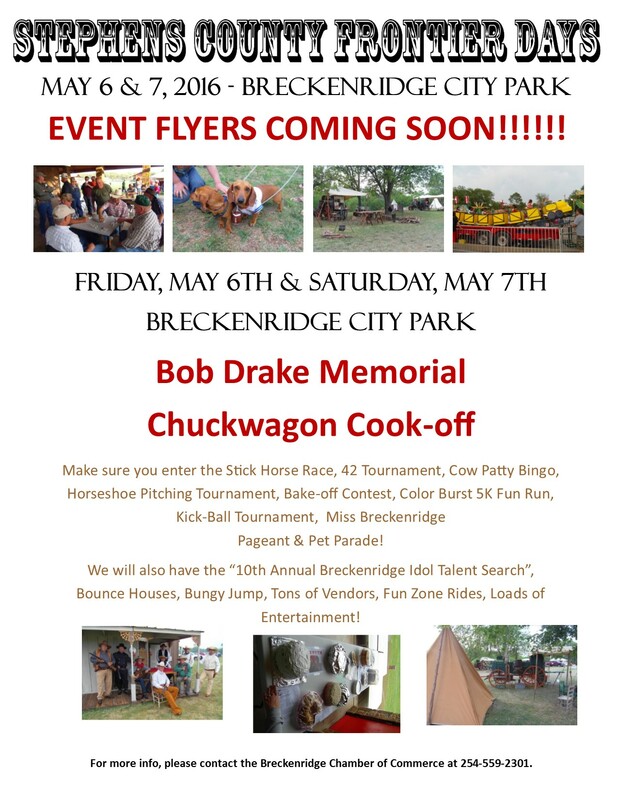 Boomfest was a success and now we move onto the Annual Car Show being held July 16th at our Breck Trade Days Barn! Nick Chapman, owner of Nick’s Custom Detailing, will be unveiling the restoration work done on James Wade’s 1932 Ford. Nick has recently been featured on Fast & Loud, worked with Chip Foose, and has been working at SEMA every year since 2006. He’s perfected the paint on Ford concept cars, Pre-production cars, Meguiar’s special projects and the Andrews car collection (google it). Going to be a GREAT show and we hope to see you there! 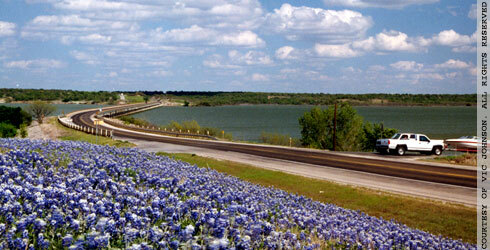 Call (254) 559-2301 for more information. It’s that time of year! 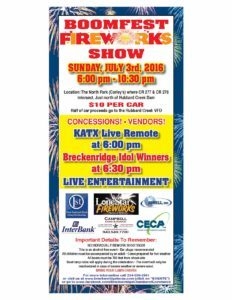 Get out your Red, White and Blue and celebrate with Breckenridge at our BOOMFEST Fireworks show! Our top 3 Breck Idol Winners will be singing for your listening pleasure~~ See ya ‘at the rocks’. Yes, you are reading that right! The Breckenridge Airshow is coming back for 2017! May 28, 2017, to be exact. The Breckenridge Chamber of Commerce and Ezell Aviation have teamed up to resurrect the airshow and make it BIGGER and BETTER! We believe bringing the airshow back in 2017 will provide affordable family entertainment, have a positive impact on the local economy and an inspiration to the next generation. 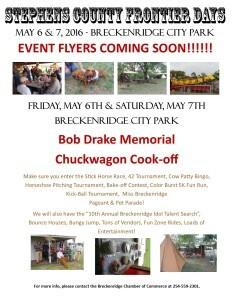 With the help of Ezell Aviation this will be a HUGE event for Breckenridge. So, mark your calendars for May 28, 2017, the Breckenridge Airshow is BACK! Do you want to be a sponsor or participate? Call (254) 559-2301 and ask for Rhonda today! To be clear: At this time, all roads are clear and passable. Breckenridge, as a whole, is on high alert, but for most it is back to business. ‪#‎supportlocal‬ is an even more important phrase right now. Keep your money in town so that your neighborhood small businesses can survive this too. Come and get’m! 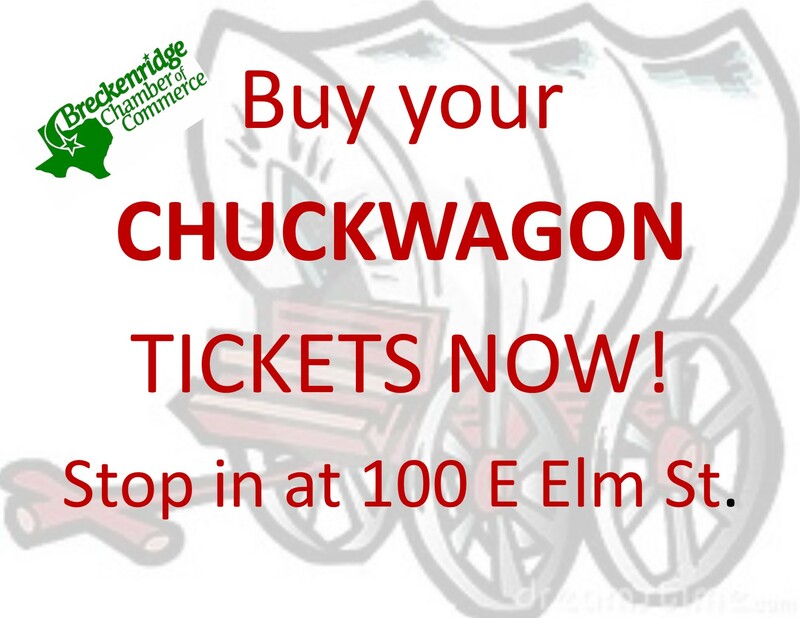 Chuckwagon Meal Tickets are on sale! 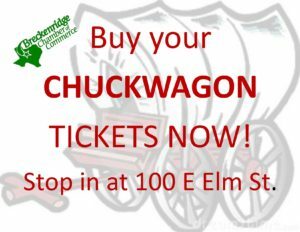 $15 per ticket (Chicken Fried Steak, Beans, Potatoes, Bread, Dessert, and Drink); Come and see either Rhonda or Sharon today! Breckenridge Chamber of Commerce is located next to Gold Stop Jewelry & Loan on Breckenridge Ave! 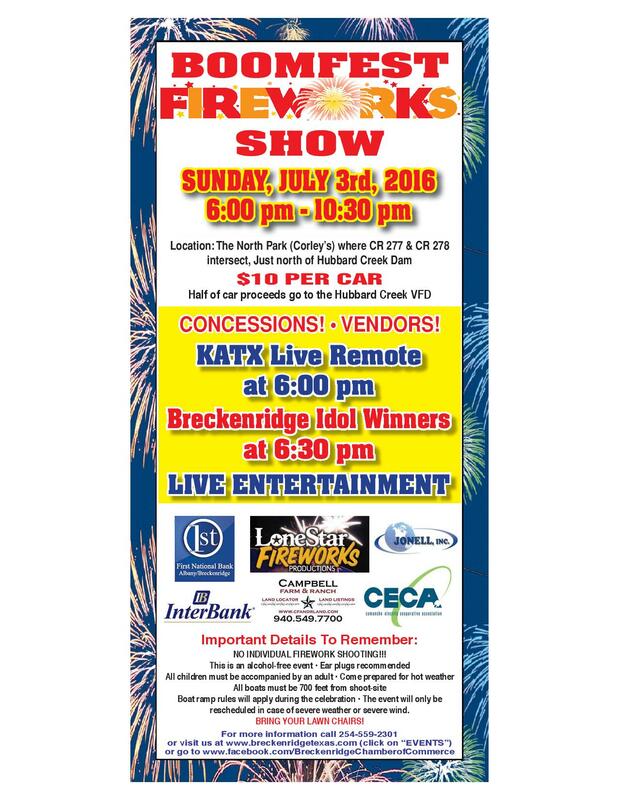 Top 11 (had a tie) Breckenridge Idol Finalists are….